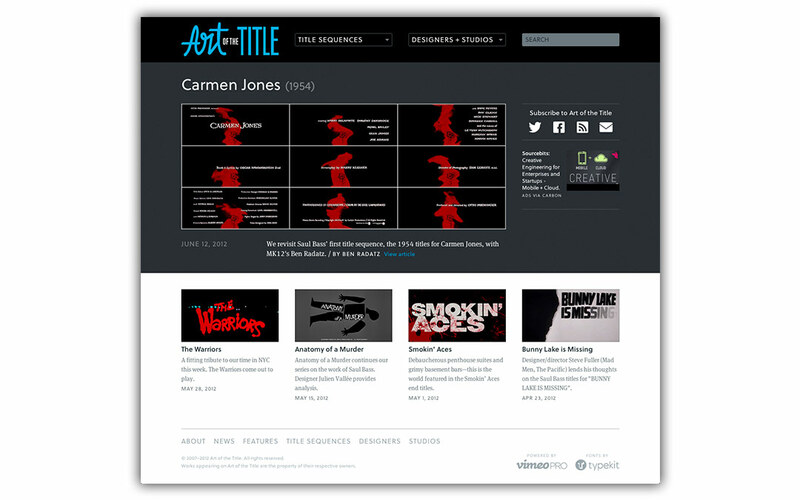 Welcome to the all new Art of the Title! We are pleased to finally launch our redesign, which has been in production for the last six months. Working from initial UX designs by friend of the site Sabih Mir, the team at New Zealand-based design studio Cactuslab has done an outstanding job in all areas, producing a site better than anything we could have possibly imagined. Our sincere thanks go out to Matthew Buchanan, Karl von Randow, Mike Harding, Ryan Maxwell, and the rest of the Cactuslab team. I'd also like to personally thank my editors, Will Perkins and especially Lola Landekic, whose efforts throughout this project have been greatly appreciated. We very much hope you enjoy the new site and welcome any feedback!